In June 2009 Dr Pal from the “Wild Life Institute of India” took us to meet with University Professor Dr Pachauri (Dean of Shrinagar University in Garhwal Pauri, Uttarakand, N.India) to discuss degraded mountain ecosystems, freshwater shortages and potential solutions proposed by Active Remedy Ltd. On the way we were alarmed to see how extensive the erosion and deforestation was throughout the mountain regions that we passed through for hours on our way up to Shrinagar. The immense degradation and serious loss of biodiversity extended for hundreds of kilometers. Both the Drs’ were enthusiastic about the ideas of Active Remedy Ltd. for indigenous mountain region reforestation. In connection with this they took us to meet with Jagat Singh Chaudhry who is known by many people as ‘Junglee’ meaning ‘man of the trees’ in Hindi. Junglee is a shining example of a man who has taken the personal initiative to and succeeded in transforming barren land into rich, lush mixed forest. He did this using his own land, resources ingenuity and hard work. 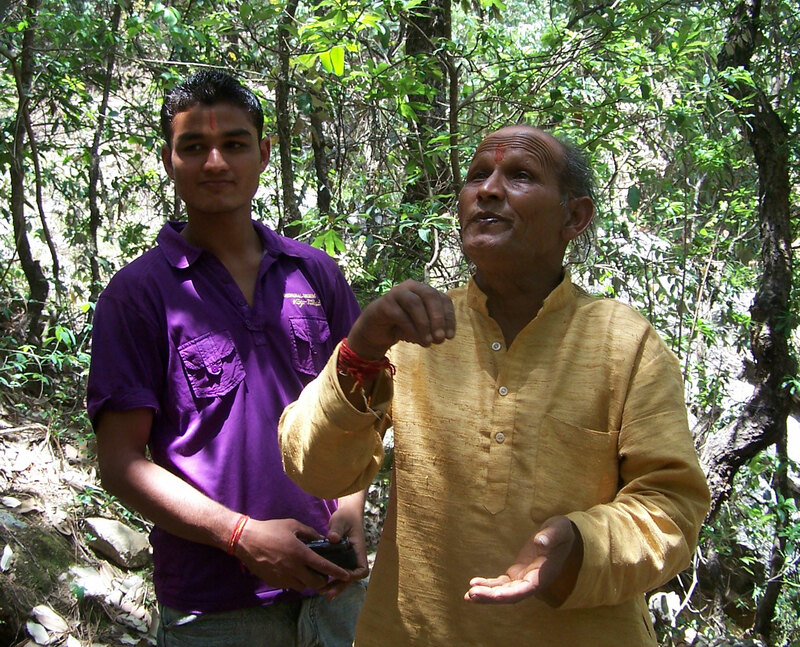 He has personally planted thousands of mixed deciduous trees in the region. Most of the land adjacent to this land is either bare land or monoculture pine plantations. His beautiful mixed forest; full of biodiversity, was a stark contrast to the dry monoculture pine tree plantations adjacent(belonging to the Indian Government Forestry Department). It was clear to see which approach the wildlife favored because his forest was full of wildlife whereas the monoculture tree plantation was virtually void of it. Working single-handed Junglee has set a precedent and over the last thirty years he has gained the love and support of many. He has demonstrated in a relatively small area what could be possible throughout Earths’ mountain regions. Junglee’s mixed forest is an example of initiative, hard work and true caring. He shows what is possible if people really act. 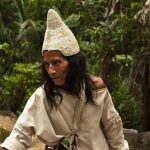 His mixed indigenous forest is an excellent example of what we wish to create; working with local mountain communities in the making of new Sacred Groves. Referring to the adverse effects of depleting tree cover, Junglee has said that Climate Change is a direct result of uprooting indigenous forests. Junglee has launched ‘Parayavaran Bachao Abhiyan’ and is seeking prompt intervention of the Chief Minister for Action to be taken regarding anti-environmental activities. It was an inspiration for us to witness the enthusiasm for environmental conservation and restoration that both Junglee and his son have. At the time of the meeting his son was studying environmental studies at the Shrinagar University in Garhwal. It was interesting to hear that at the time when Junglee first embarked upon the task of creating this mixed forest, there was only one tree growing on the bare and dry land. Over the years he created an example that so inspired other local people that more land to cultivate has been donated. 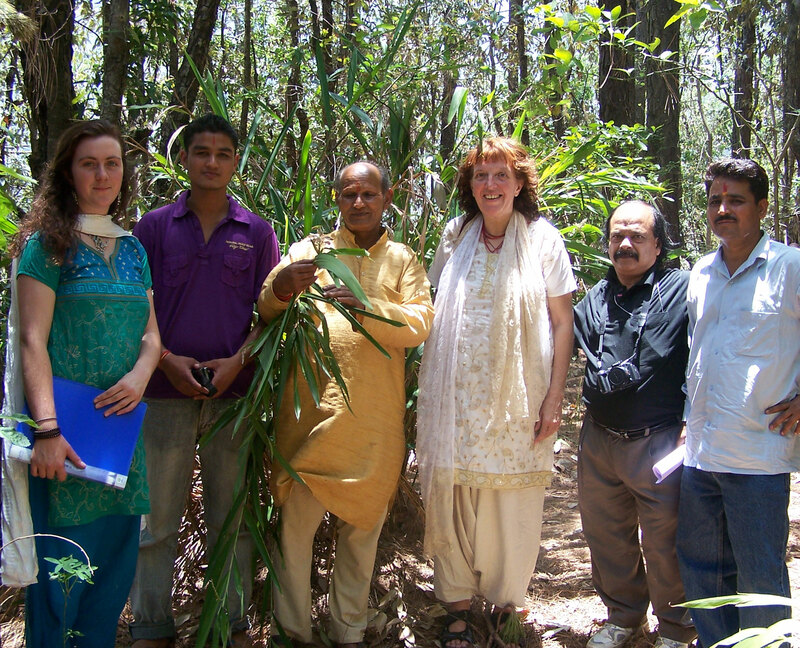 Junglee has experience with working with these mountain communities on environmental conservation. He has practical understanding of the reasons why ancient traditions of conservation have been declining in recent times. Active Remedy Ltd. wishes to help to revive these old values that Junglee speaks of. We intend to aid in the restoration and preservation of indigenous mountain forests that both provide many resources for local communities and that also play a significant role in restoring Earths’ fresh water and cooling systems. 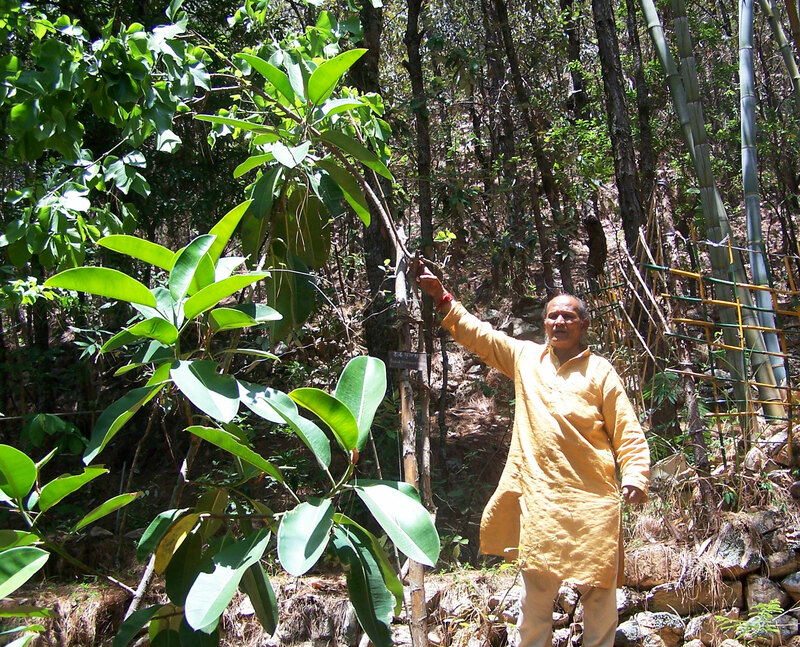 Junglee told us that he would be happy to be an advisor for Active Remedy Ltd. regarding methods of making new Sacred Groves and that we could take others to experience his remarkably successful forest garden.